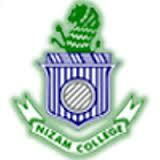 The city of the nizams is home to some of the finest colleges for the study of science in India. Admission season witnesses a mindless scamper among students for admission to these colleges. Respected in and around the state for high academic standards these colleges offer both graduate and post graduate courses of study. Find all you may need to know about the top Science Colleges in Hyderabad 2019. Make an informed choice and plan and prepare for admission right away.